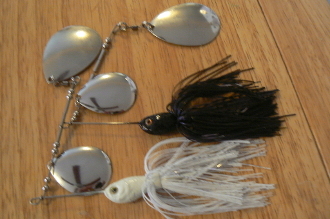 The Brew's Bottom Thumper spinnerbait with it's #8 and #5 tandem Colorado blades is made for slow rolling. With its heavy weight it gets down to where the big ones are at in the winter and dead of the summer months on ledges. Has a ton of vibration grab one and hang on! !